We have been away from our website for a bit, but that’s because we’ve been busy on new projects for our customers. One of them is a green energy project that we’re proud to be involved with: a landfill gas plant built by SCS Energy. The plant is owned by the University of California, and is a part of their efforts to reduce their emissions and become carbon neutral by 2025. The UC is a large natural gas consumer, consuming approximately 14 million BTU per year at their 10 campuses, 5 medical centers, and 6 cogeneration plants. Their use of natural gas accounts for about half of their carbon footprint. Trash decomposing in a landfill produces methane gas, which is the primary component of natural gas. Landfill methane gas is often burned off in a flare. The University desires to capture and redirect the landfill gas by purifying it and putting it to beneficial use as natural gas. This offsets the University’s use of natural gas at their facilities, helping them with their goal of being carbon neutral. 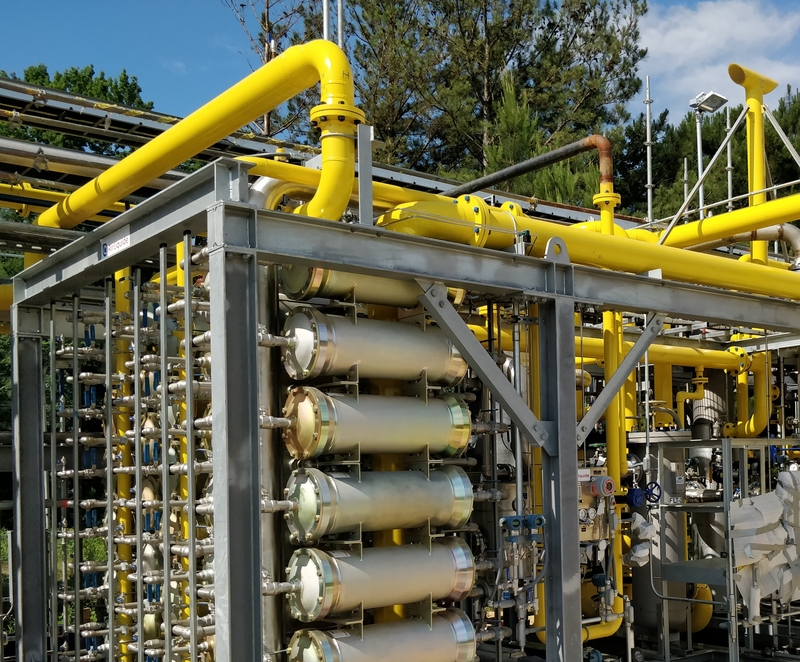 SCS Energy is building a plant at the Woolworth Road Landfill in Shreveport, Louisiana that would do just that: capturing methane produced in the landfill and purifying it to natural gas standards, enabling it to be used as natural gas in homes and businesses. Not only does this help the environment, it saves money for the City of Shreveport and the University of California. Tactical Controls is providing the plant-level PLC and SCADA control systems for the landfill gas plant. Our PLC system coordinates the various compression and purification systems from multiple vendors into one unified control system. We are installing a SCADA system based on the one we developed for a wastewater gas plant in Santiago, Chile, which was featured in Inductive Automation’s Discover Gallery in 2016. It harnesses the power of the Ignition SCADA platform to not only control and log data from every piece of equipment, but also make the plant simple to operate and easy to troubleshoot when needed. The plant consists of two independent sites: a processing plant at the landfill with multiple compressors and purification systems, and a compression plant a few miles down the pipeline at the transition to the local gas company’s system. One button starts equipment at both sites automatically. Each site has its own Allen-Bradley CompactLogix PLC and servers running Ignition, KepServerEX, and MySQL, with development and installation done by Tactical Controls. Operation can be performed from workstations at either site, and can be viewed remotely over a secure connection. Industrial networking is one of our specialties, so this was right up our alley. Tactical Control s engineers have already begun commissioning the landfill gas plant in Shreveport, Louisiana. After commissioning, the methane that was once a waste product will now be put to use, benefiting the City of Shreveport, SCS Energy, and the University of California.